Liberal has six wrestlers competing at state this weekend at Hartman Arena in Wichita. 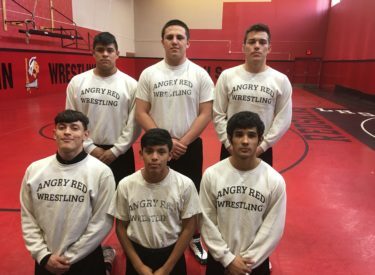 They are freshman Chris Adame (106), junior Carlos Mora (145), junior Max Lugo (152), senior Misael Monarrez, senior Edgar Bautista (195), and senior Elwin Trejo (285). The interview with the wrestlers and coach Kyle Molina aired during the Friday Sportsguys.